After 30 years of industry experience in the areas of innovation, technology strategy and engineering product development – innovating, strategically shaping and shipping numerous pioneering products cradle to grave – Peggy is now focused on educating and inspiring others. 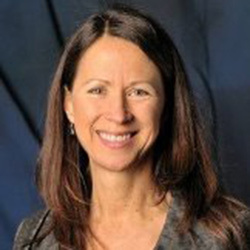 Peggy is an adjunct professor in Northwestern University’s McCormick School of Engineering, is Director for Graduate Studies in Engineering Management and Project Management Degree Programs at Washington State University, and is founding principal of Tech Strategies Group LLC offering consulting services. She is also Program Chair for TEMSCON 2018. Peggy holds a BS in electrical engineering, an MS in electrical engineering and computer science, and an MBA. Peggy holds 4 U.S. patents.